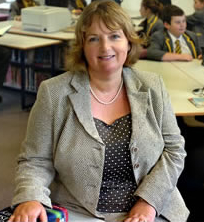 Welcome from Mrs. Janet Lowe, Headmistress. Welcome to the Greenbank website. Its aim is to provide information¸ for current and prospective parents and pupils, about the diverse opportunities and challenges that Greenbank offers the individual child. "We empower our pupils to succeed and relish new opportunities as they prepare for their wide choice of secondary education"
"We provide a firm foundation for learning within a happy community where confident children have respect for each other and the world around them." Greenbank aims to provide a caring environment where traditional values of courtesy, respect for others and pride in work enable all children to develop their talents, gain self esteem and reach their full potential. This was the vision of the founders of Greenbank, Karl and Linda Orsborn, in 1951, and continues to be shared to this day by both Staff and Trustees. Visitors to the school frequently comment on the happy, courteous and purposeful environment they observe. Our size helps us create a caring, family atmosphere akin to the village school of old. Greenbank is a community where every child feels valued and is able to play an active role in school life and where everyone knows everyone else by name. Care for the well-being of the individual, both child and adult, is central to the success of the school. We strive to meet the social, emotional and intellectual needs of all pupils and the success of this philosophy is proven by the consistently outstanding examination results throughout the school, particularly at age eleven. We hope this website gives you a flavour of the school and reflects the special ethos that is Greenbank. Please come and visit us where you will receive a warm welcome.